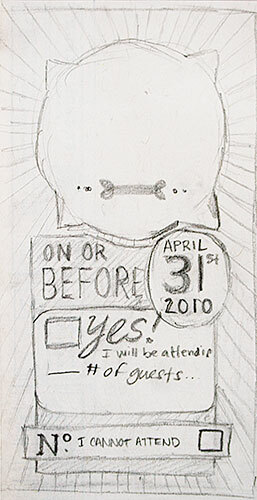 Back in November, when I posted the finished “Save the Date” postcard that Alyssa and I put together for our upcoming wedding, we still had not fully fleshed out the concept behind our actual invitation. But we did know a few things. 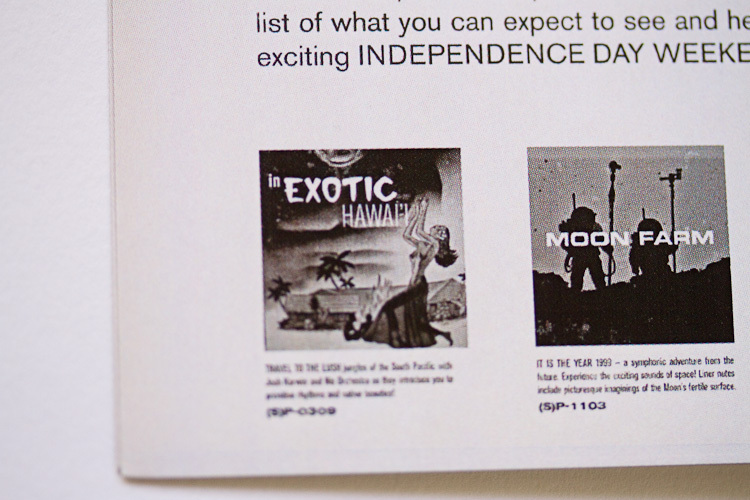 It needed to be unusual, it need to reflect who we are, and it needed to complement (and hopefully surpass) the postcard. It would require an extraordinary amount of thought and effort behind it. 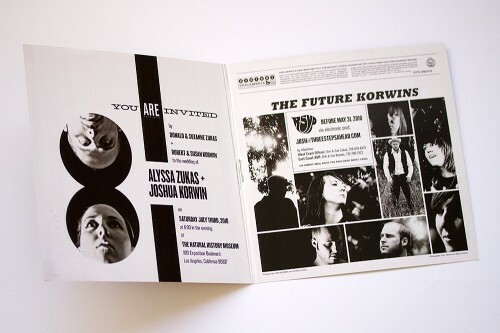 When we came up with the idea of the “gig poster”-as-save-the-date, we’d tossed around the idea of making the entire invitation set feel like music ephemera; LPs, fan club documents, badges, etc. 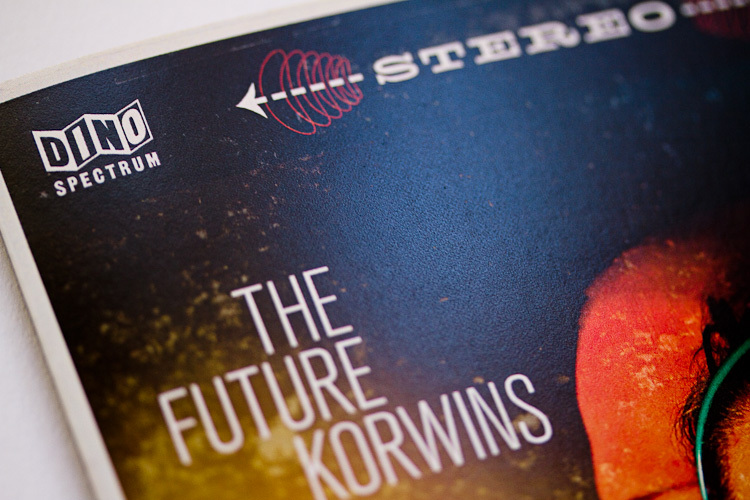 The idea of a gatefold LP album cover felt like a natural choice for the invitation. 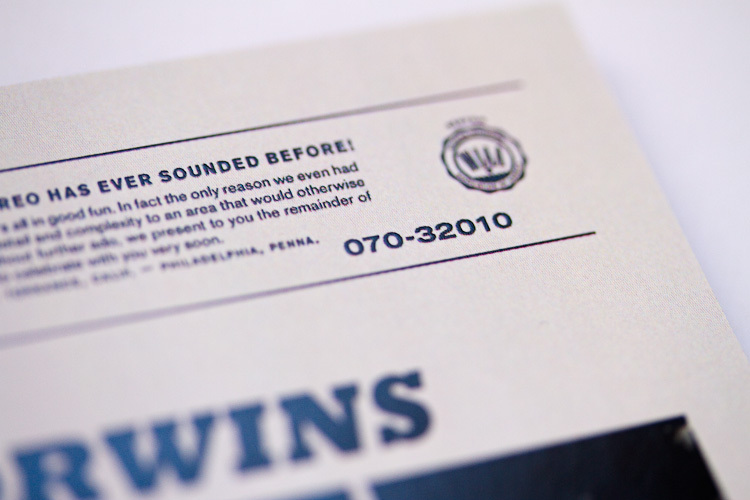 But the size would be an issue, as we weren’t planning on mailing 12″ by 12″ envelopes. So we went with a half scale; 6″ square, folded, instead of 12″. 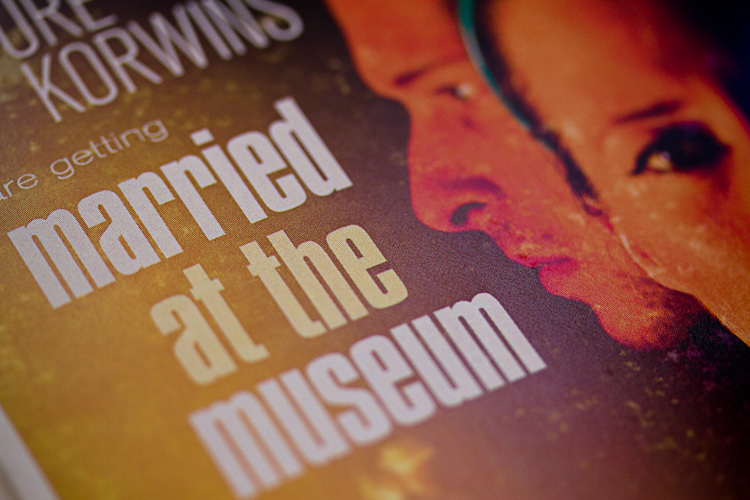 The design of the front cover came first. 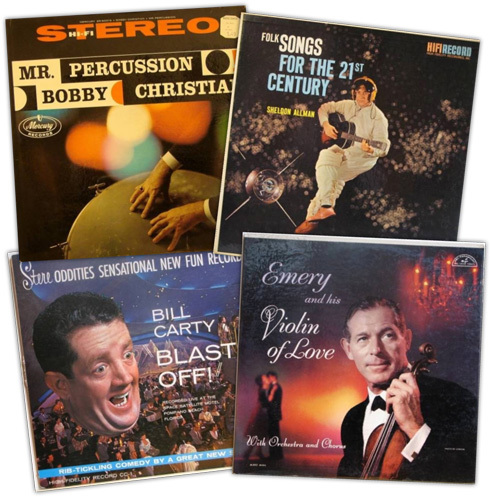 We were inspired by albums designed mostly in the 1950s through early ’60s, especially “floating head” style covers. I pored obsessively over the typography for weeks, but in a single marathon post-midnight photography session, we finally had the perfect cover portrait. Most of my experience is in panoramic photography and object photography, so I was initially intimidated by the notion of trying to pull off convincing mid-century portrait photography. We pretty much made it up as we went along. Working with a black sweatshirt as our backdrop, we used a small clamp light as our key light on the left, and, next to her face, Alyssa held up an adorable battery operated blue LED nightlight that we got at IKEA. I would set the timed shutter release, and then run back behind Alyssa, and crouch to get my head in the right position. It took a few tries to get the positioning right, but with the proper underexposure, we were able to achieve the half-lit Robert Freeman cover portrait look with plenty of negative space for copy. 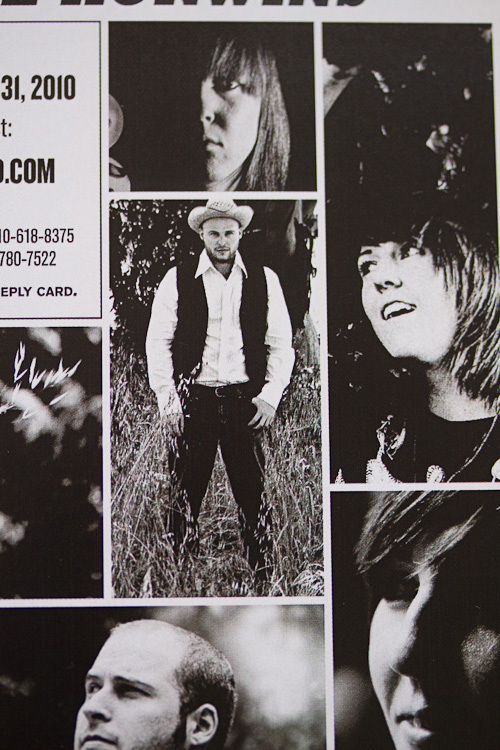 But by themselves, our floating heads weren’t enough to fill the cover with color. So I took another shot of our lighting setup—sans Alyssa and me—deliberately out of focus. That gave us a great colorful bokeh effect that we would overlay on top of our portraits to produce the final effect. To simulate the “big foreground portrait, small background portrait” effect, we photographed a vintage caketopper in similar lighting conditions, and overlayed that image into some of the negative space in Photoshop. Voilà. 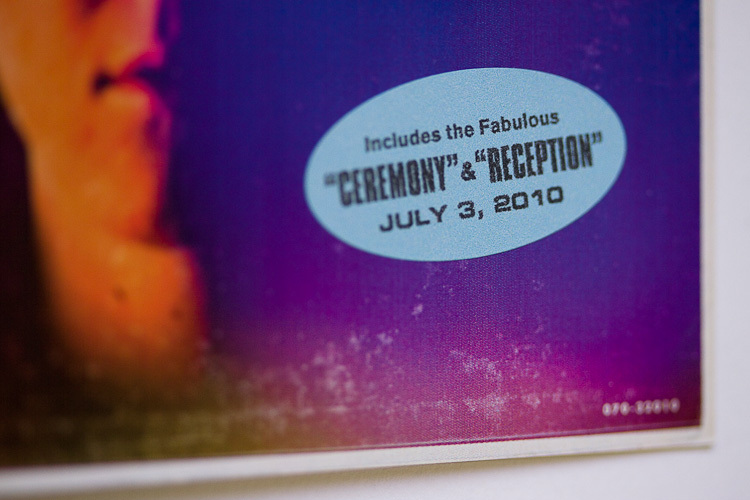 For me, a great deal of the fun was coming up with the tiny details, like the logos and markings that help to sell the piece as an album cover. Playing off of the “Glorious Dino Vision” joke from the save-the-date postcard, I added a Dino Spectrum logo. 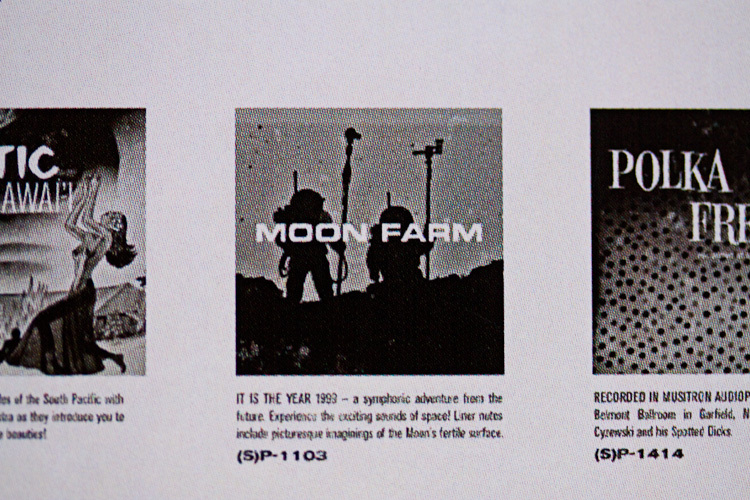 Then we came up with the fake “Syntony” record label, based on the defunct Harmony sub-label of Columbia Records. 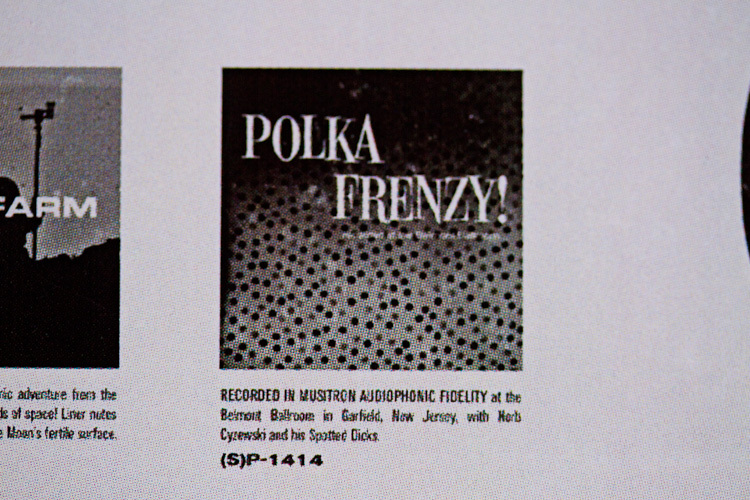 I’m constantly tickled by the over-the-top “STEREO” announcements on old album covers, so that was front and center. Originally we had designed the “hits” sticker to be placed on the cover design in Photoshop, with a pretty convincing bevel/drop shadow/texture to simulate the look of a real sticker. 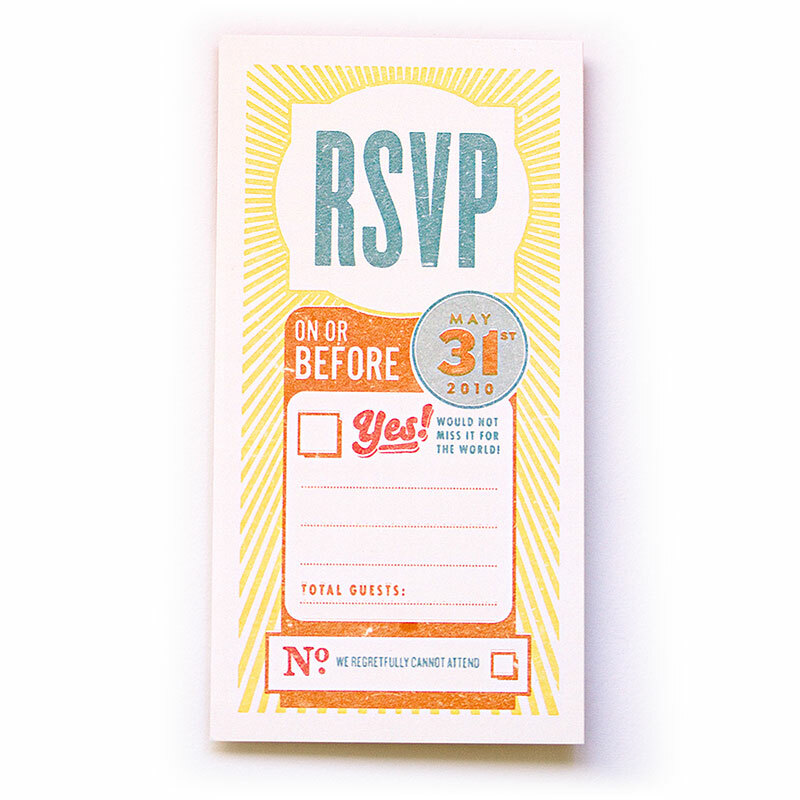 But we found the exact same size/shape sticker available in pre-cut label sheets, which we printed on ourselves and applied individually to every invitation for an extra touch of detail. Like the front side, the back side shows plenty of faux wear and tear, including the unmistakable circular “ring wear” impression of an old LP; I’m particularly proud of that effect. In order to make it as realistic as possible, I photographed my copy of The Beatles (the White Album), and after some Photoshop witchcraft, applied its authentic patina to the design. 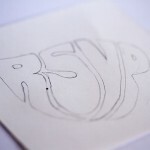 Alyssa's original "RSVP" sketch, à la Rubber Soul. 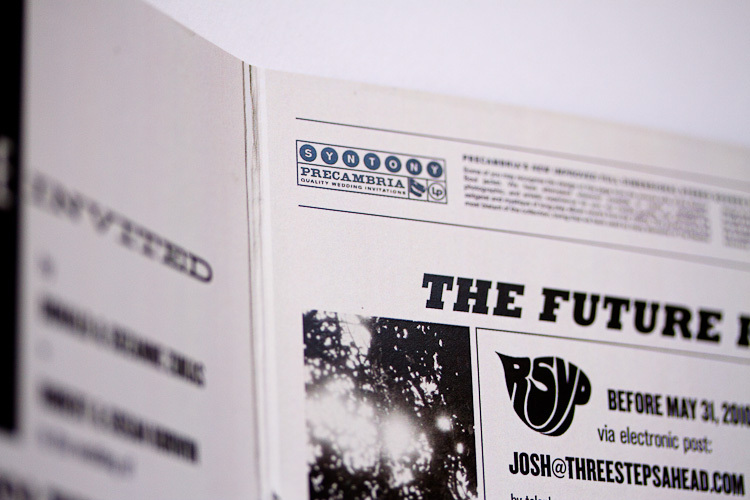 We tackled the gatefold inside spread last, chronologically. For the left panel, I included a sort of figure-8-mitosis-space-helmet composition based on two other photos taken during the same marathon session as the cover shot. To us, this spread was really the meat and potatoes; it had to actually function as an invitation, so we tried to make the more important content somewhat legible and obvious. 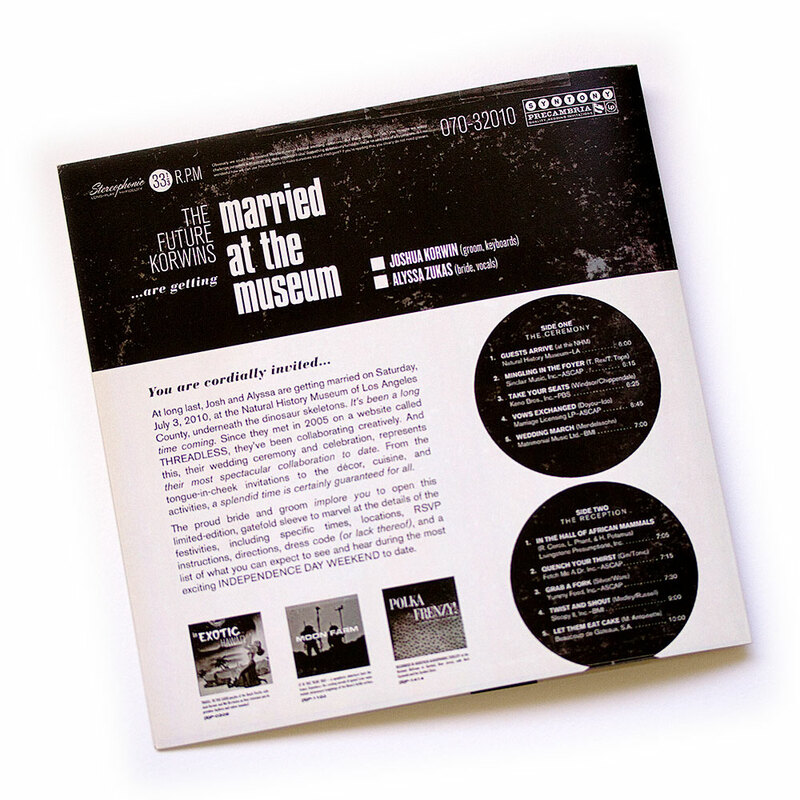 Along with the right panel’s whimsical nonsense text, we placed the RSVP details inside a montage quoted almost verbatim from the back side of The Beatles’ Rubber Soul. 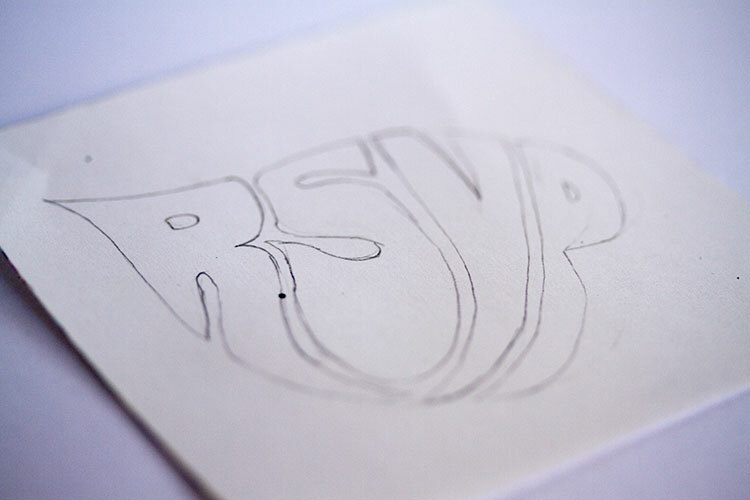 Alyssa did some fantastic hand-lettering for the “RSVP” logo. Some of the photography came from the midnight shoot, some from our older files, and a few by our good friend Sakura Koontz. The finishing touch was the highly embarrassing shot of me-as-George-Harrison-as-cowboy. 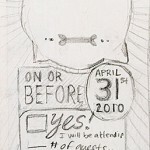 Alyssa's original reply card sketch. 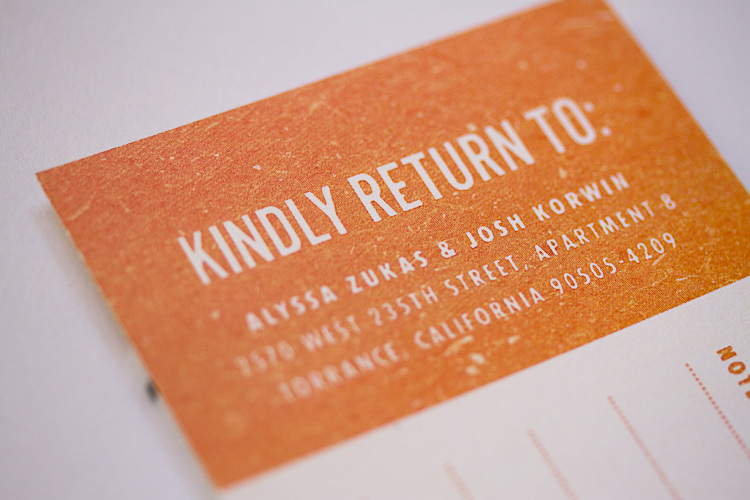 With the invitation itself complete, the reply card was our next challenge. We were originally thinking “backstage pass” or something more music-related, but Alyssa had recently found some gorgeous little vintage Cleveland bus passes on eBay. We loved the look of them, and based on the look of the bus passes, Alyssa hand sketched the design before we created the vector art on the computer. 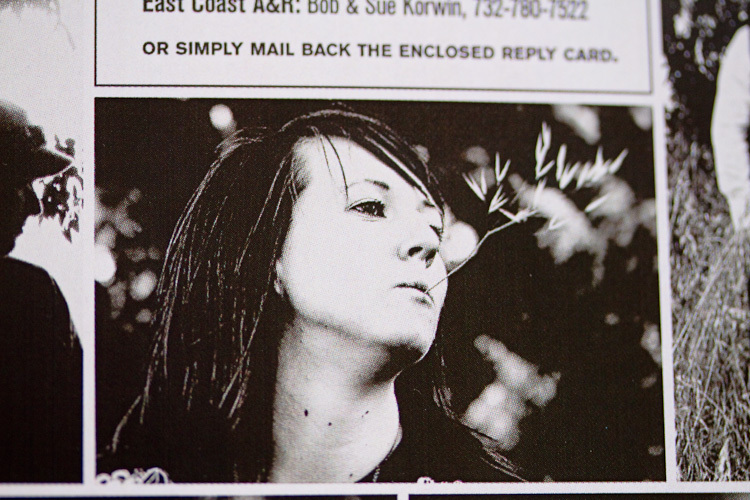 She also had the brilliant idea to make use of the “№” (numero sign) for the “No” checkbox. To wrap everything up, literally and figuratively, we bought a supply of French Paper’s Pop-Tone envelopes in Sour Apple green. 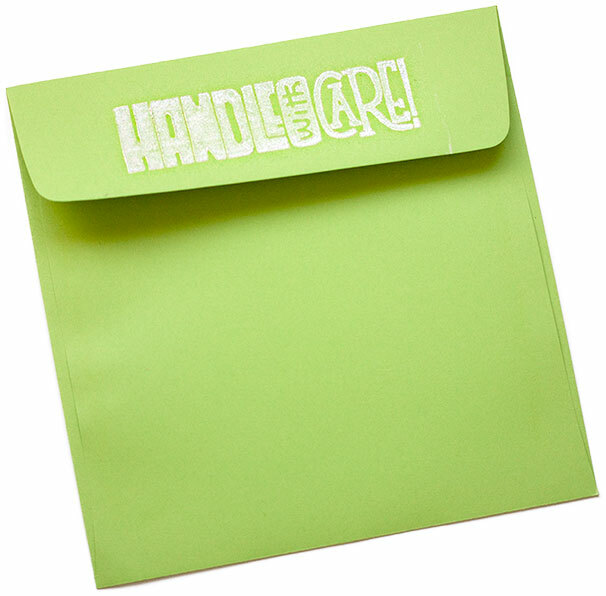 Alyssa created a “Handle with Care” linoleum block and hand printed each envelope with a metallic white ink. As a bonus, we threw in “I Love the Future Korwins” stickers, hand lettered, cut, and block printed by Alyssa. 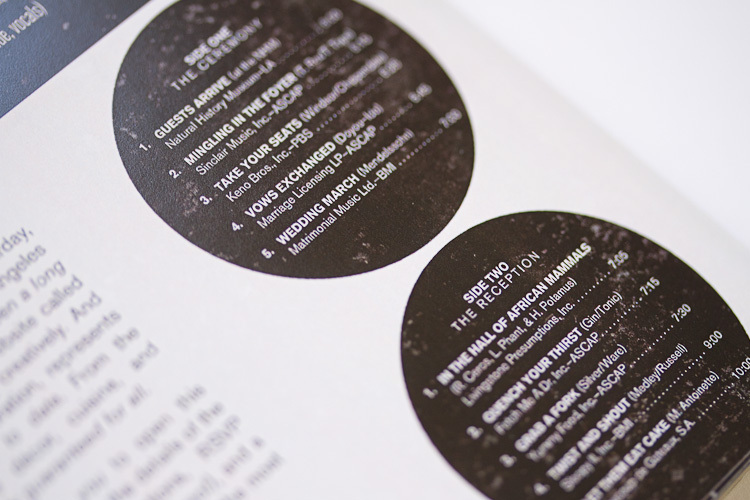 I love the Ed Benguiat style interlock lettering along with the couldn’t-do-this-with-a-font F+T+K ligature. 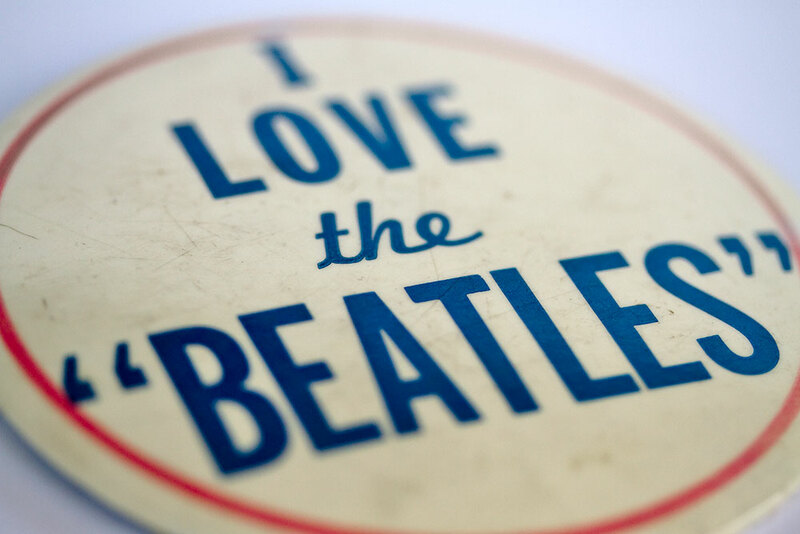 The concept and colors are based on an “I Love the Beatles” pin from the ’60s. This may be the most fun I’ve ever had on any design project… ever. For good measure, here are some additional close-ups and detail shots. ← Today is DIN day. This is brilliant…I thought I made this up myself (you beat me to it! )and came across your blog while looking for someone who could create them . Great minds think alike. I’m so impressed. 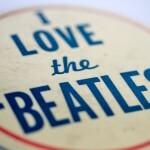 You’ve made this Beatles fan/graphic designer’s day. Just effin’ awesome! This is awesome. 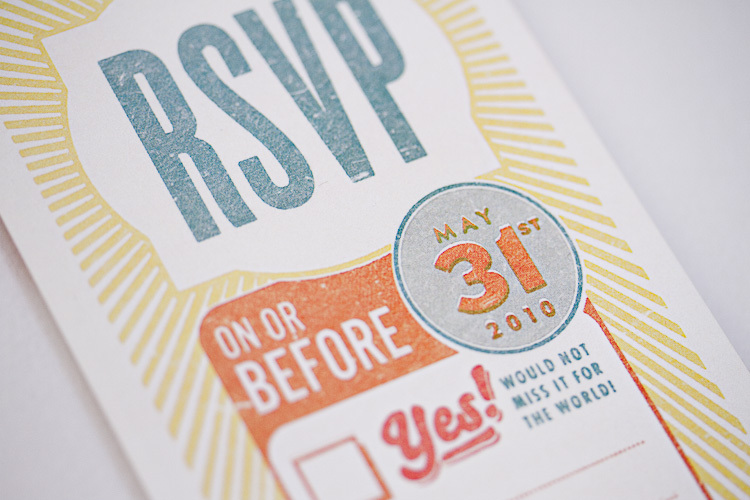 Can you estimate the cost for getting the invitations printed? Thank you! I’d say the production costs were somewhere around $550, but it’s hard to estimate accurately because some of the supplies were things we already had on hand. Just came across this spectacular page as we plan a ’60’s cover layout for our next release. What a great idea! Masterfully done. And, god (and you both) willing, before too long perhaps you will begin releasing a series of “singles” arising from the album! Best wishes from The LawTunes. Hi Guys! 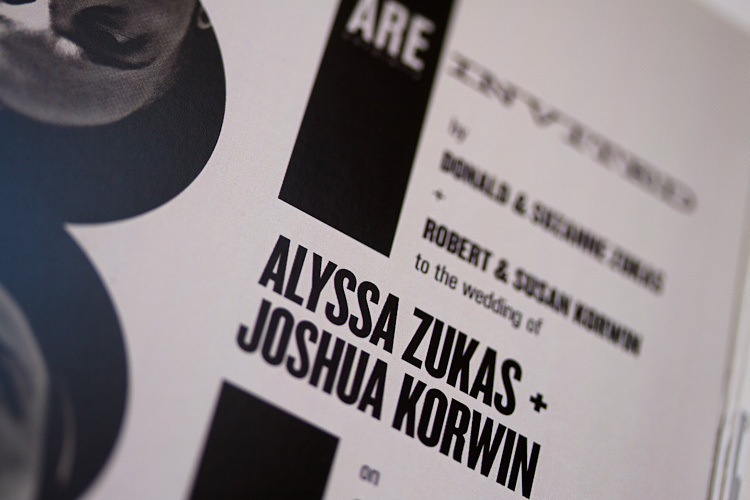 Congrats on you wedding, beautiful job on the stationary. 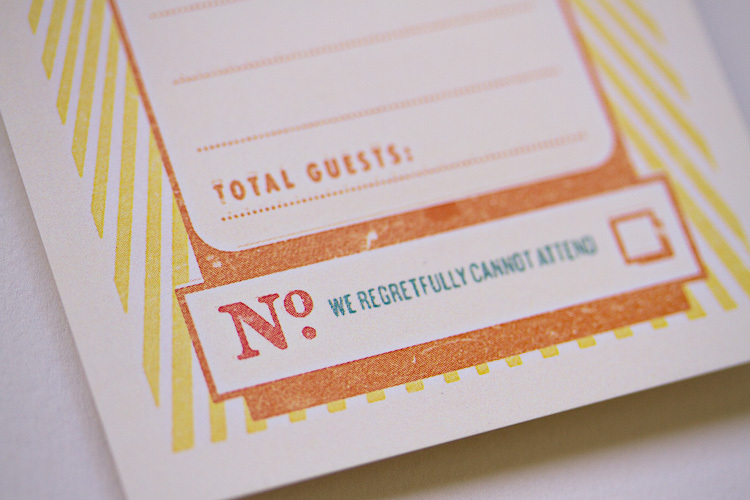 I was wondering about how you got them printed, what paper did you use and what printing process, was it letterpress? I love the texture and the colors. Thanks very much, Anastasia! 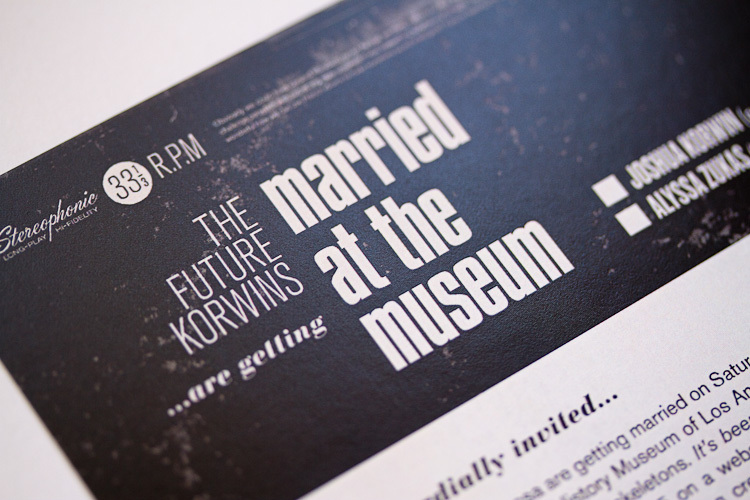 There’s a fantastic blog about print design, For Print Only, that covered our invitations and posted some of the technical details as well. 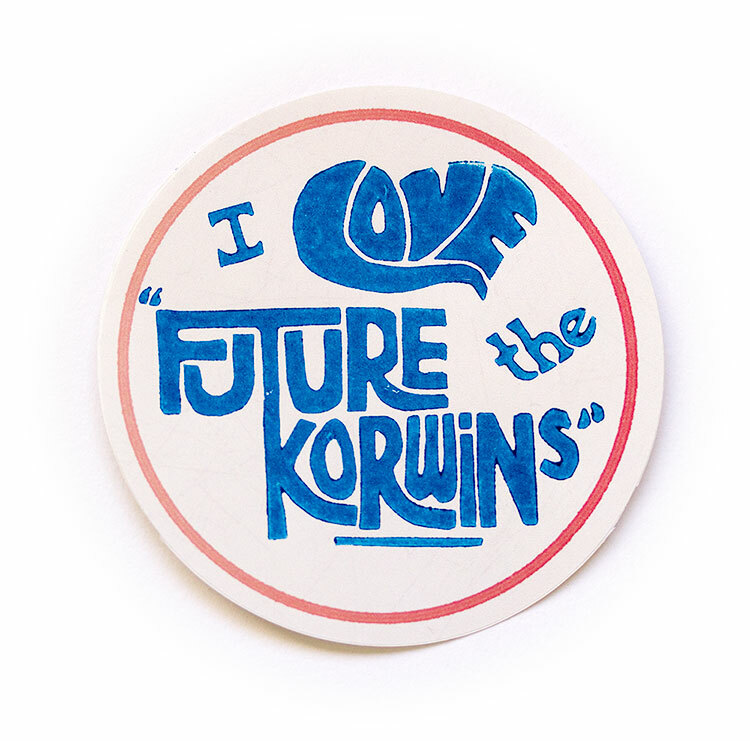 While we didn’t use letterpress, we did use a somewhat similar process, linocut block printing, to do the “Handle with Care” envelopes and the “I Love the Future Korwins” stickers. 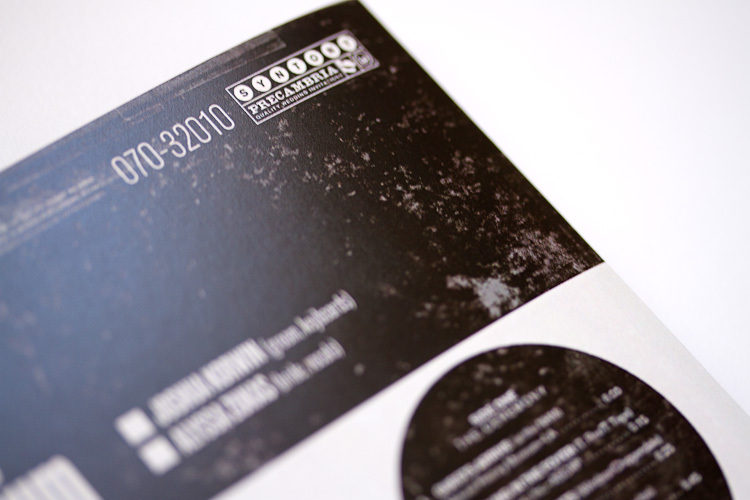 The remaining items were printed digitally. This is absolutely beautiful. I wish I had the time and talent to do something like this for Cassie and I. Totally love, love, LOVE these. Absolutely gorgeous. 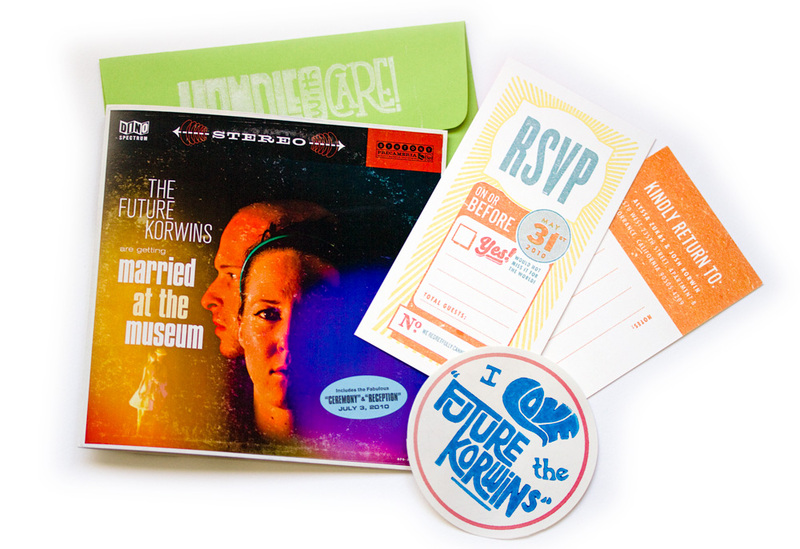 My fiance and I are getting married next year and are thinking record label-look invites are the way to go. We passed on a DJ and instead bought a jukebox which will be rockin’ the reception, so something along these lines would fit in perfectly! Your design is spot-on perfect. As a graphic designer, you’ve inspired me with all the tiny details, and I’m SO excited to start motoring on my own invites! Thanks, Mary! Congratulations and good luck with your invitations!